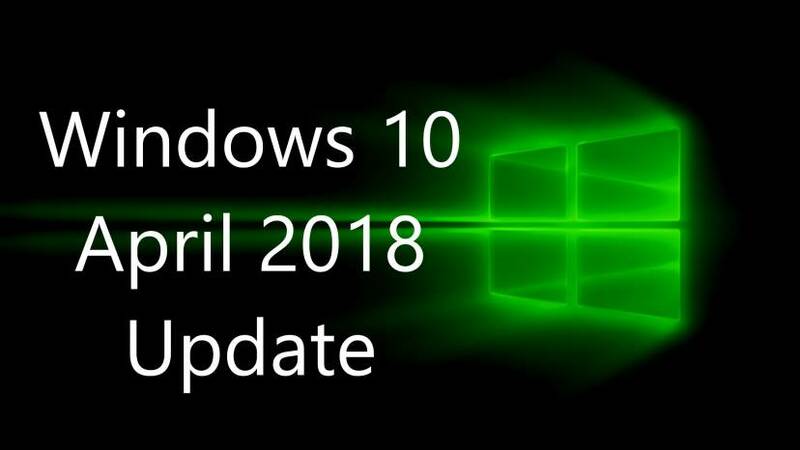 A new cumulative update KB4100403 (Build 17134.81) for Windows 10 (v1803) April 2018 Update systems is now available for download. Windows 10 Fall Creators Update users will find a new update 2018-05 Cumulative Update for Windows 10 Version 1803 for x64-based Systems (KB4100403) in Windows Update. The latest update has fixed an issue that may cause Windows Hello enrollment to fail on certain hardware that has dGPUs. Check out more details below. Addresses an issue in Internet Explorer that might cause communication between web workers to fail in certain asynchronous scenarios with multiple visits to a web page. Addresses an issue where closed-caption settings are preserved after upgrade. Addresses an issue that may cause Windows Hello enrollment to fail on certain hardware that has dGPUs. Addresses an issue with power regression on systems with NVMe devices from certain vendors. When attempting to upgrade to the Windows 10 April 2018 Update, select devices with Intel SSD 600p Series or Intel SSD Pro 6000p Series may repeatedly enter a UEFI screen after restart or stop working. Workaround – To get Windows 10, version 1803, we encourage you to wait until the update is offered to your device. Starting May 25th, if you’re an advanced user on an actively serviced version of Windows 10 and would like to install Windows 10 version 1803, you can manually check for updates. In the Search tab, type “Settings”. On the Settings page, navigate to Update & security > Windows Update > click “Check for updates”, which will include this resolution. After upgrading to the Windows 10 April 2018 Update, select devices with Toshiba XG4 Series, Toshiba XG5 Series, or Toshiba BG3 Series SSDs may exhibit lower battery life. Workaround – To get Windows 10, version 1803, we encourage you to wait until the update is offered to your device following the June Update Tuesday. If you’re an advanced user on an actively serviced version of Windows 10 and would like to install Windows 10 version 1803, you can manually check for updates. In the Search tab, type “Settings”. On the Settings page, navigate to Update & security > Windows Update > click “Check for updates”, which will include this resolution. Check your updates for 2018-05 Cumulative Update for Windows 10 Version 1803 for x64-based Systems (KB4100403).